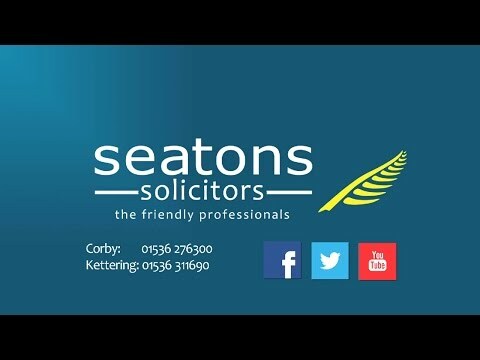 At Seatons, we are Landlord Law experts , and offer a fast and friendly legal service for landlords wishing to evict a tenant in Huntingdon with low sensible fees that provide exceptional value for money. Although we are based in Northamptonshire, distance is not a problem! We act for clients across England & Wales. So, whether you live just up the road, or a few hundred miles away then we can still help. We are known as the friendly professionals and aim to provide you with an outstanding legal service to assist with your Landlord or property issues. We care about you and will work hard for your best interests to help resolve your legal problem quickly and easily. Unlike a lot of other legal service providers, we are a genuine firm of Solicitors and are fully insured and regulated by the Solicitors Regulation Authority. We hope you find our website is helpful and informative and gives you the answers to your legal questions. We also offer free legal guides that you can download. Section 8, also known as Notice to Quit, is served when a Tenant has breached one or more of the terms of their Tenancy Agreement. There are a number of Grounds available to the Landlord but the most frequently used ground is rent arrears. However, please note that to rely on Ground 8 : rent arrears, your tenant MUST be in arrears of at least the equivalent of two months’ rent. In addition, if the Tenant reduces their arrears to below the required threshold within the period of issuing the section 8 and the court hearing then the Section 8 becomes invalid and possession will not be granted by the Court. One notable point to make is that two weeks’ notice need only be given to the Tenant to vacate the property if serving notice for rent arrears under Ground 8. All other grounds require two months’ notice to be given. Section 21, also known as Notice of Possession, can be served without reason by the Landlord. However, it cannot be served within the first 4 months of the Tenancy Agreement or within the first 4 months of a renewal. The notice cannot end before the fixed term and is valid for only six months. Assured Shorthold Tenancy Agreements commencing on/after 1st October 2015 are subject to the new Regulations relating to the issuing of the Section 21 Notice for Possession. Please note that you cannot issue a Section 21 Notice unless you have provided the Tenant with a valid gas safety certificate, an AST (assured shorthold tenancy), a copy of the EPC and a copy of the up to date “How to rent” Booklet. If a deposit has been taken that must also have been secured in a Government Approved Scheme within 30 days of receipt and the prescribed information supplied to the Tenant. As from 1 October 2018 the regulations will apply to ALL Assured Shorthold Tenancy Agreements. My name is Carol O’ Leary. I am a lawyer who specialises in landlord and tenant legal services in the Huntingdon area. We aim to provide our clients with an outstanding legal service. Please contact us for a free, no obligation chat at either our Corby office on 01536 276300 or our Kettering office on 01536 311690 or contact us online. A man spent hundreds of thousands of pounds renovating a country property and a barn so he could use them for holiday lets. However, as he had not sought legal advice he lost all of the money because he had no long- term secure tenancy. Houses of Multiple Occupancy – When is a Storey Not a Storey? The definition of what comprises a storey of a building was to be found in the following case heard at the High Court and landlords of Houses of Multiple Occupation (HMO's) should heed the decision to avoid prosecution. A Supreme Court Ruling states that property landlords cannot be held responsible for repairs that they have no knowledge of, and any consequences of them. There is an advantage of being calm under pressure but when you are about to be evicted from your 100 acre small holding you cannot afford to delay seeking legal advice, as the daughter of a farmer discovered.